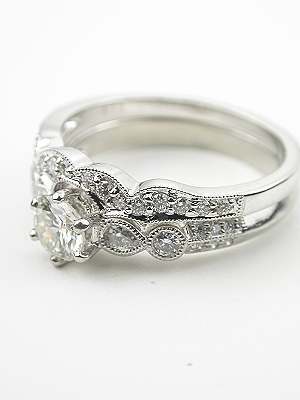 Diamond engagement rings like this one kiss the finger with delicate sparkle. 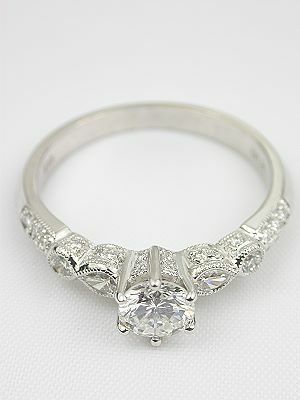 A GIA certified round brilliant cut diamond glistens at the top of this very feminine ring. 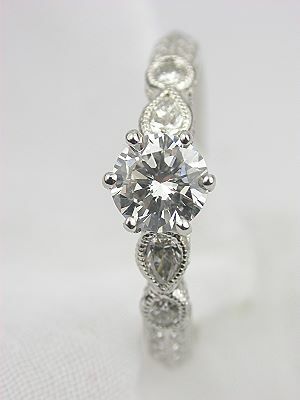 The center diamond is G in color and SI1 in clarity and weighs 0.46 carats. 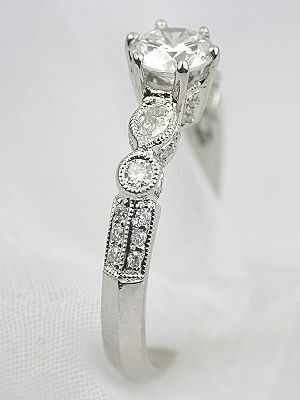 The 14k white gold band of this antique style ring is highlighted down the shoulders with a collection of thirty-six pear and round cut diamonds. 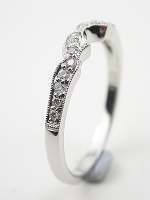 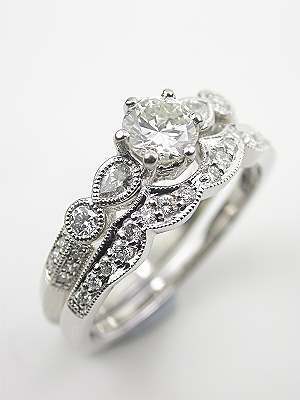 This is a new diamond engagement ring in the antique style. 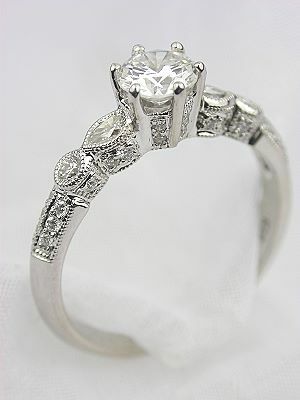 Other notes This ring has a matching wedding band. 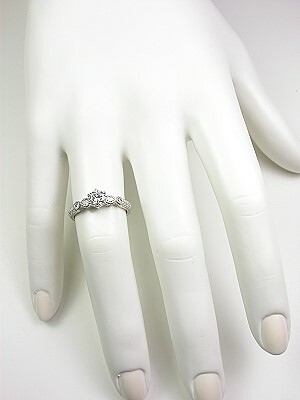 See ring style rg2809wb. 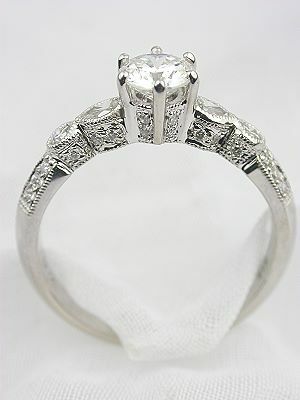 It is shown with the engagement ring in 3 of the photos.